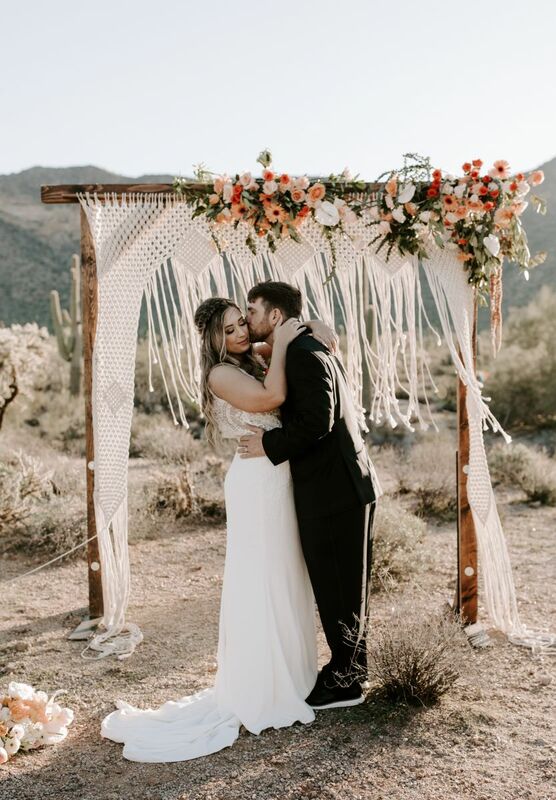 Romantic and earthy, this handmade macrame backdrop adds an elegant bohemian spirit to your big day. 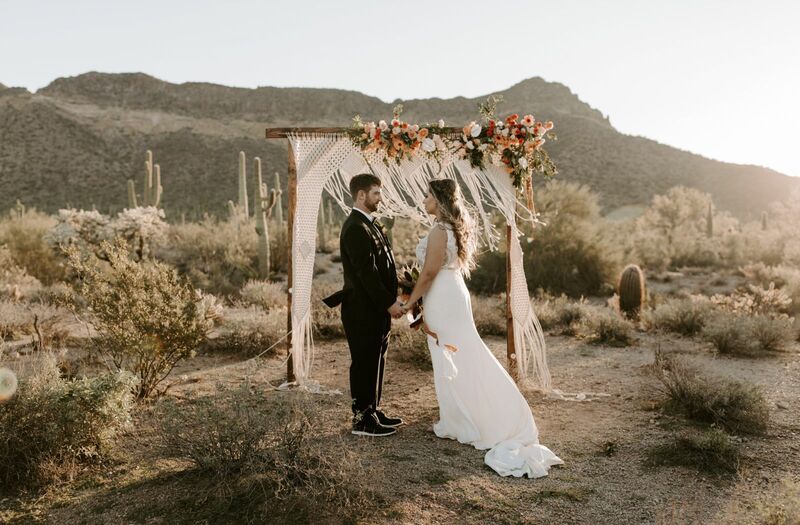 A gorgeous addition for your ceremony or wedding photos. At 7 feet wide there is a large variety of options to hang this attractve backdrop. It suspends flawlessly on our Square Copper Arch, Wooded Arch and Pallet Backdrop. 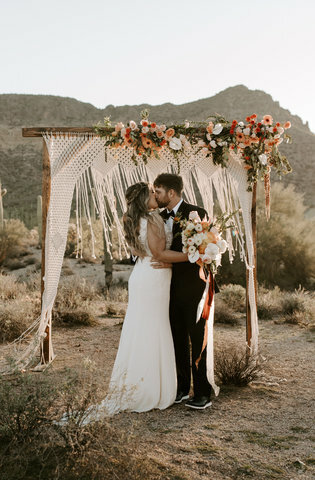 Question: What are the demensions of the Macrame Backdrop? Answer: The Macrame hangs best at 7 feet and is 7 feet wide. Question: Does this macrame come with the arch?